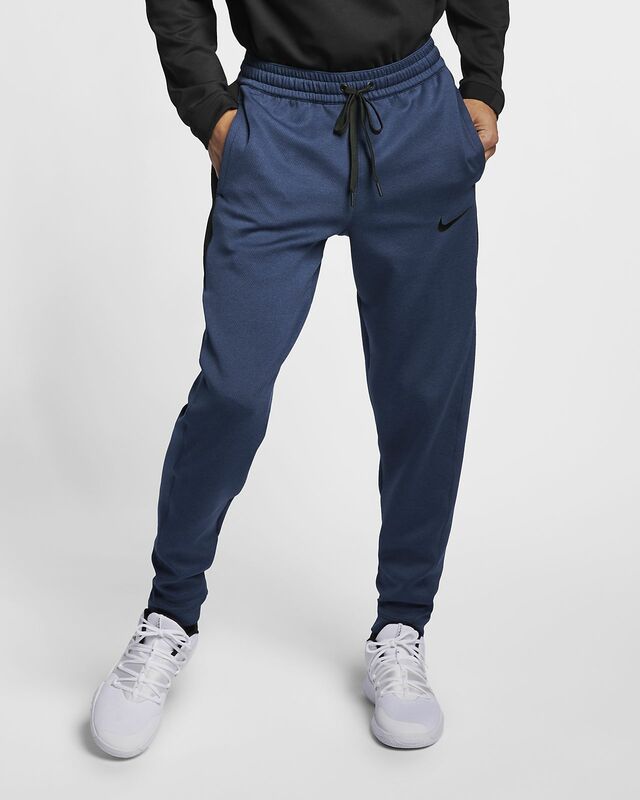 Get loose and ready to ball in the Nike Therma Flex Showtime Men's Basketball Pants. Made from soft, highly stretchable fabric, these versatile pants have a tailored feel to help minimize distractions on or off the court. Get loose and ready to ball in the Nike Therma Flex Showtime Men&apos;s Basketball Pants. Made from soft, highly stretchable fabric, these versatile pants have a tailored feel to help minimize distractions on or off the court. Nike Therma Flex fabric helps manage your body’s natural heat to keep you warm, while high-stretch yarns move with your body. An elastic waistband with drawcord on the outside lets you adjust the fit. A tapered fit with elastic cuffs helps secure the pants legs as you dribble and move on court. A zippered, vertical utility pocket provides secure and discreet storage, while side seam pockets give you easy access to your essentials. Fabric: Body: 91% polyester/9% spandex. Face of panels: 100% polyester. Back of panels: 65% cotton/35% polyester. 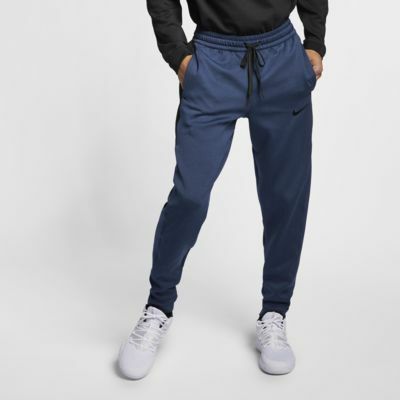 Nike has now released the tall option in the black color of these pants. They have an amazing fit and they are very similar to last years version. The flexibility of these pants are awesome The length is just right if you are able to get a pair in the tall option. I am 6'5 250 pounds and the length goes below the ankles. If are tall and want a tapered basketball pair of pants make sure to get these. Now I am waiting for NIke to have the tall option in the black heather color way.